I don't think I know a single woman who doesn't love shopping for shoes, but I know lots of women who have been disappointed with the resulting purchases. 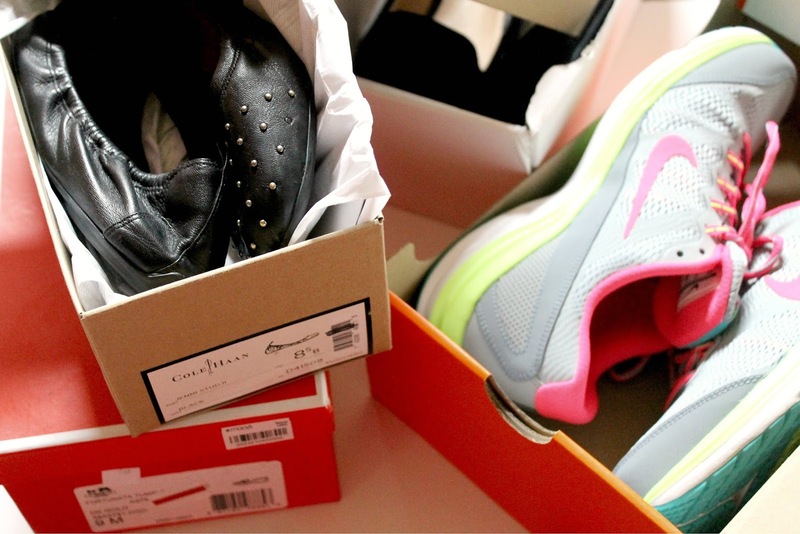 Believe it or not, there is a right and a wrong way to shop for footwear. Here are five tips for ensuring success on your next jaunt to the shoe department. Shop at the right time. Avoid hitting the shoe department at the start of your day but instead go in the late afternoon have stretched and swollen a little bit (as they naturally do). This will give you a more accurate idea of the size you'll actually need. Also, don't go near closing time because you'll feel pressure to hurry up and make a purchase, which could result in serious buyer's remorse the next day. Go for quality over quantity. You may love the cheap shoes, the cheap shoes may be totally adorable, and the cheap shoes definitely have a price tag to love, but the first time you actually wear those cheap shoes for more than 20 minutes, your feet will be begging you to take them off. Avoid the pain (and possible unsightly blisters) and just buy a good quality shoe, even if it means you only get to take home one pair versus four. Buy a slightly snug fit. Your shoes will stretch after some time so it's better to buy the pair that's ever so slightly snug over the pair that's a little too big. You can always speed up the stretching process by stuffing the shoes with newspapers and blasting them with heat from the blowdryer for a couple of minutes, or wearing them with a thick pair of socks around the house. If you're feeling uncertain about a shoe for some reason, especially if it's a major splurge, ask the store to hold your size for you. This will give you a chance to go home and assess the number of outfits you can wear with the shoes, as well as review your bills, bank account, and credit card statement to make sure you can even afford them. Take a walk around the store. It goes without saying that you should always try on both shoes in a pair since your feet can actually be two different sizes, but once you've got them on take a little stroll around the shoe department to make sure there's not too much pressure on the balls of your feet. Any shoe that puts all your weight on the front of your feet is a shoe that you won't be able to wear for too long, much less walk or dance.